The STORM Drone 4, a nifty and versatile quadcopter drone, has been dubbed the “go to choice for beginners” because not only does it come almost ready to go, but it also sports, among other things, a beginner mode which is designed for beginner drone pilots. Storm 4 is marked as being RTF (ready-to-fly) meaning that it is delivered mostly assembled. The pilot only has to attach the propellers, charge up, and attach the batteries and it’s good to go. Don’t worry about attaching the propellers, each rotor is marked with the direction in which it spins and the lock / unlock directions. Something to note here is the fact that you will be provided with both the locking nuts that it needs and a special tool designed and custom made for those nuts, so you will not have to scrounge around for one. It’s basically a screwdriver with a special head for these nuts, making it that much easier to mount the propellers and lock them in without breaking anything. 100% Assembled and Tested Storm Drone FF. It came 100% Ready to Fly out of the box. 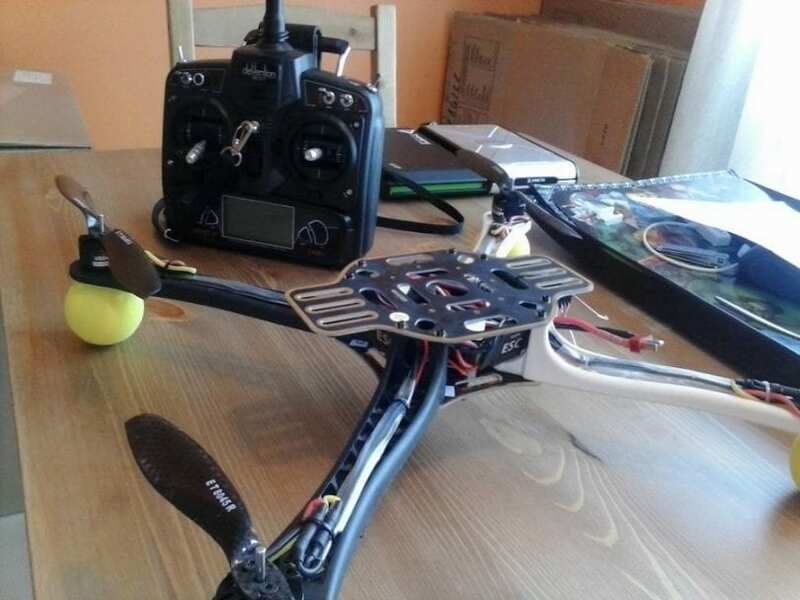 Some upgrades over the successful Storm Drone FF, like upgrading the firmware, changed to Carbon Propellers and new motors. The motor is specially made with two holes to secure the prop, this allows players to change props much easier and don’t need to spend so much time on balancing. FF Gyro board. It has an industrial grade micro 6-Axis Gyro (three-axis sensor, three accelerometers). Storm Drone 4 can carry a reasonable payload (200-250g) and still able to fight the wind, by using high-speed motor and rotor combination. After the battery is charged, the remote is synced with the board and everything is mounted, you will soon discover why it is the best choice for beginners. First of all, it is a very tough piece of machinery, with a frame designed to take a lot of punishment, and the circuit board being protected by the frame itself against impact. The battery might be a concern if you manage to flip it over in mid-air and land it on its back but, then again these batteries are designed to be both cheap to make and easy to replace so it should not be that big of a deal. 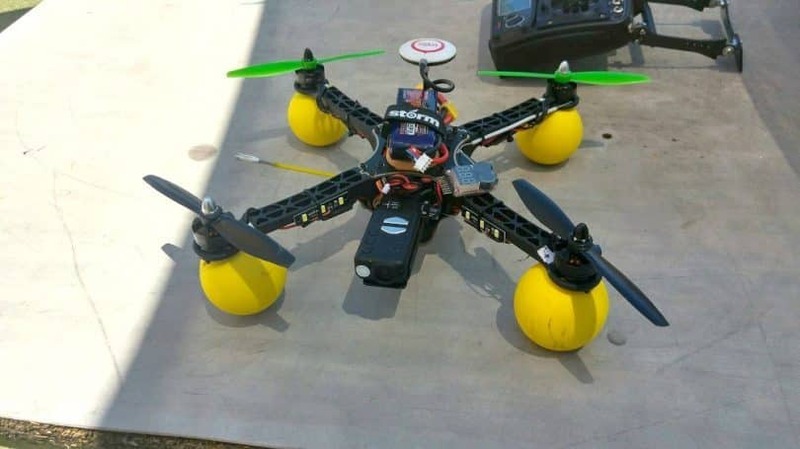 For added safety, this drone also comes with 4 strong foam spheres that you can put on its feet, to protect it in a case of harsh landing. It is quite nimble as it’s able to take sharp turns and even pull off a couple of acrobatic stunts if in the correct mode, making it ideal for those interesting and engaging photography or small film projects. A very important piece of advice here is to learn the flight modes and what they are able to accomplish. This is only the basic kit. If you choose to add more items to the order, like extra batteries and propellers they will come spread out in multiple boxes and containers. Something noteworthy here is the fact that most people tend to order spare propellers, especially when they are just starting out and learning how to pilot a drone. You will also need to purchase 8 AA batteries from your local store for the remote control; they are not included in the basic kit. There are a couple of upsides and downsides to the design of this drone; however they all balance out in the overall picture. First and foremost, the frame itself is built to take a lot of punishment, which is what it will have to do when it has to deal with beginner and inexperienced drone pilots. It’s made out of ultra-light and ultra-strong materials, capable of withstanding the force of impact generated by a crash landing. The frame itself is shaped and formed in such a way that it protects the circuits and most of the wiring of the drone in a case of a crash. The battery, on the other hand, is mounted on top of the frame, leaving next to no protection for it in a case of a crash. Its color scheme is 2-toned: half is black and the other half is white. This is done so in order to give the pilot visual feedback on the position and orientation of the drone. 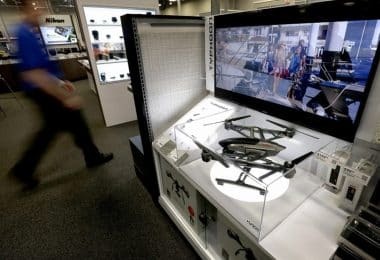 Because the frame has to be stronger than other drone frames, it is also slightly heavier, shaving off a bit of battery life as a result of that, shortening the average flight time to between 5 and 7 minutes, which is slightly shorter than other drones. Sadly, the basic kit for this drone does not include a camera, however the frame itself does have a camera mounting bracket, and it works with most portable cameras, like GoPro and Gimbal for recording purposes. For pictures and scenic shots, you can attach digital cameras easily, without having to worry about offsetting the drone mid-flight. For what it is, the Storm 4 offers a lot of flight time. It comes with a stock 11.1 V 1500 mAh battery which, when fully charged, provides it with about 14 and 15 minutes of flight without a payload and between 5 and 7 minutes with the maximum payload. 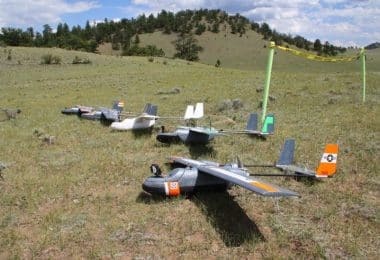 There are extra batteries available for purchase as well along with the drone, however, bigger batteries often result in additional payload limitations. 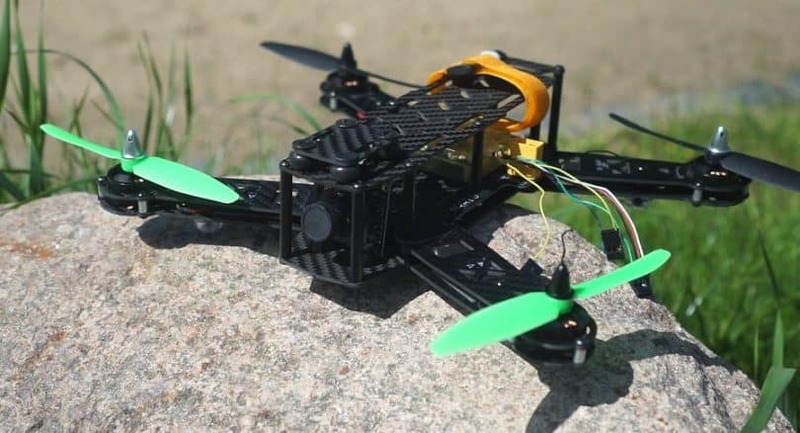 As an added bonus, the drone comes by default with a small buzzer, that connects to the battery and circuit board via small connectors, which buzzes when the battery is either overcharged or undercharged, meaning that the motors are either pushed too much or too little during flight. This lets the pilot know when to take slightly less sharp turns or banks, resulting in prolonged overall battery life. Also, to know how to keep your drone in the air longer, we suggest checking out our article about the ways of extending your drone’s flight time. The kit comes with a standard controller for the drone, which is suitable for the average drone pilot as well as beginners alike. There are alternatives and ways in which you can install an autopilot GPS guided flight system on the drone, more or less automating the flight, and depending on the complexity of the system itself, you might find yourself needing to upgrade to a more sophisticated controller, which should not be a problem seeing as the drone itself is programmable and capable of accepting a wide range of controllers. Because of the fact that it sports 3 different flight modes, all of them interchangeable mid-flight, it is highly recommended to use the standard controller which runs on 8 AA batteries. Even more, the controls are fine-tuned and responsive, the display is helpful displaying the information that you need while the drone is in flight and allowing you to get a more accurate reading of the altitude, the barometric pressure and the overall state of the drone. 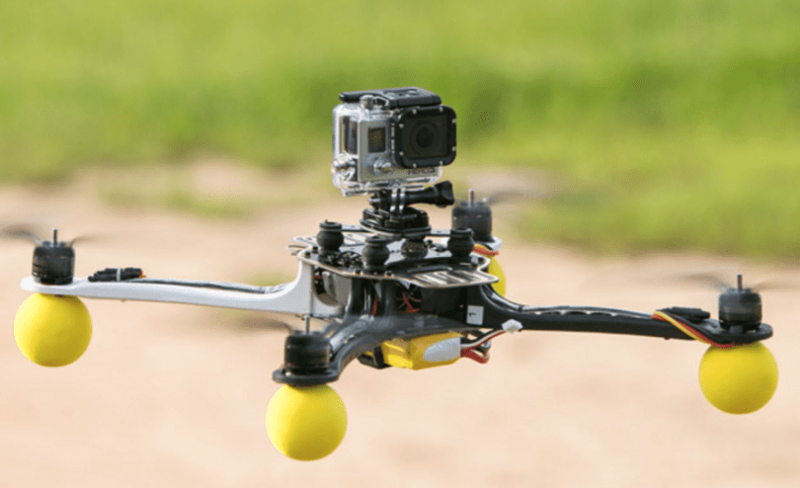 Beginner – Designed for beginners that, have very little or no experience in flying drones. 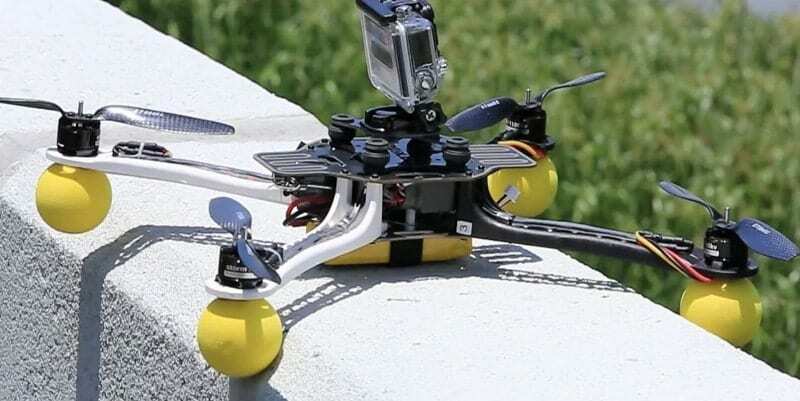 This mode more or less slows down the drone, limiting its performance and focusing heavily on balancing and stability allowing the pilot to learn and get used to the drone and flying it safely before trying on anything more complicated and risky. Sport – A very fast very sharp flight mode, designed for agile and fast turns while maintaining a decent level of stability and achieving very high flight speeds. Free-style – This mode focuses on the acrobatic capabilities of the drone, allowing it to execute things like mid-air flips and barrel rolls. This one also has the biggest risk factor of all 3 and it is generally accepted that this one is the mode you venture into last when you are fully confident and proficient with the drone in order to make sure that you don’t damage it involuntarily. Storm Drone 4 was made for everyone but beginners were the main audience. The guys at STORM made this fact clear time and time again, however, it is the flight itself that will prove it to you. The drone has 3 different flight modes, and it handles as well as performs differently in each and every one of them. In the beginner mode, the drone is incredibly stable, probably too stable for some tastes, to the point where it becomes almost impossible to accidentally flip it mid-air or properly lose control of it. It is a lot slower though and it could feel a bit sluggish to more experienced drone pilots. 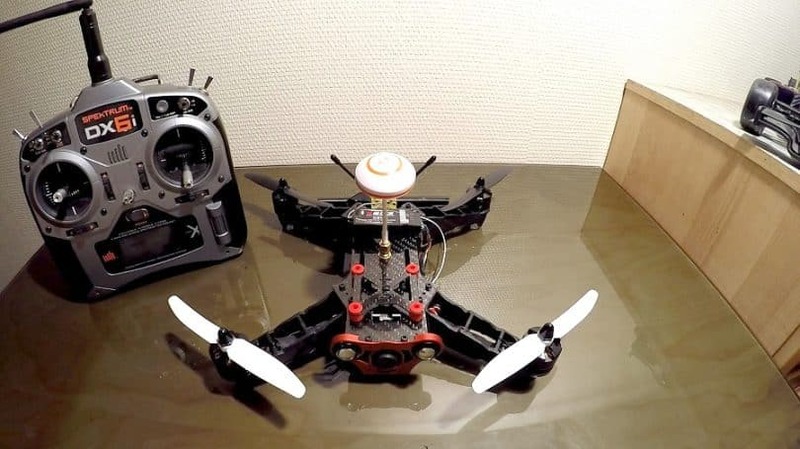 In the freestyle mode, the drone is more hectic, faster, more powerful, but at the same time, it lacks a lot of the balance and stability that the beginner mode had. This is why this mode is for stunts, aerial acrobatics, and tricks. In sport mode, the full power of the drone is unleashed, making it a lot faster, a lot more responsive, and balancing out the stability ratio to give it some proper control. The times when the flight experience would be found lacking, is during windy conditions. 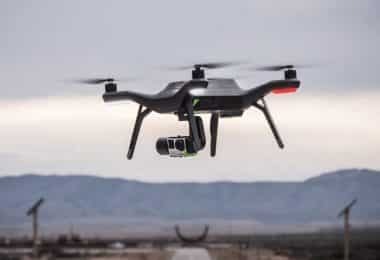 The drone can handle a light breeze, however, a more aggressive wind or even harsh wind conditions are just a bit too much for it, causing the pilot to lose most of the control that he or she has over the drone. As it stands currently, the basic kit for Storm Drone 4 is valued at $299 on the official website. 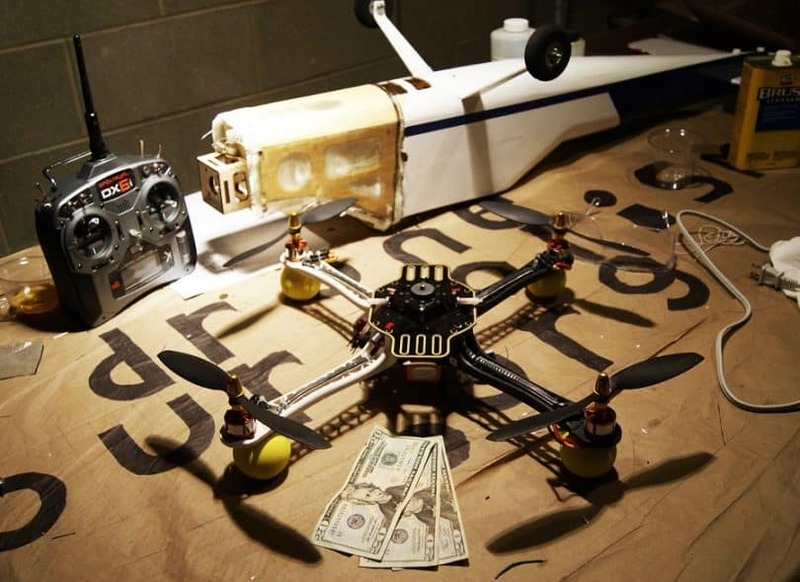 For this money, you will receive the drone assembled, the propellers, the propeller locking tool, the remote control, the drone battery, the guides and a set of training balls. Most other drones cost around $50 or $100 upfront, but they require an additional $300 most of the time to get them to fly. 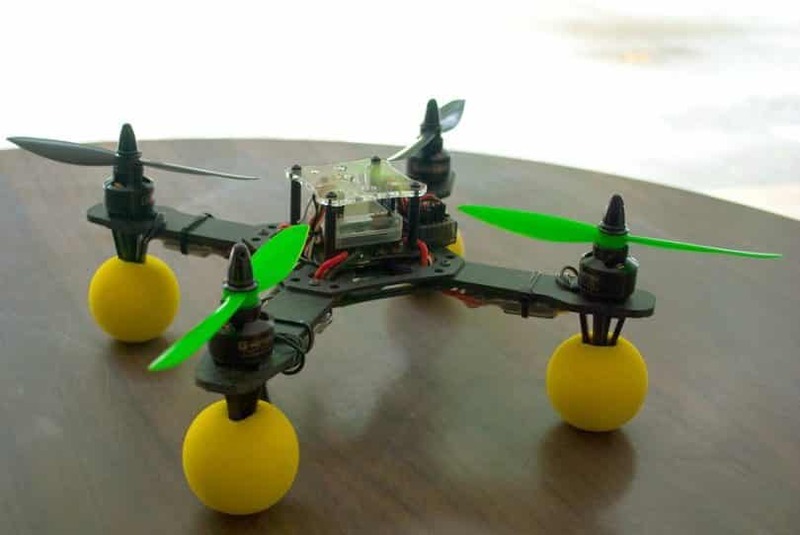 With this drone, the only extra expense is the price of 8 AA batteries for the flight controller in order to make it fly. The drone also comes with a buzzer for when the battery is undercharged or overcharged in order to help you preserve battery life while mid-flight, making it a lot cheaper in the long run because you will be rarely replacing the battery. In regards to guarantees and refunds, there is no actual mention of this anywhere. However, there is a lot of support made available for the customers that have purchased this drone and are struggling with it, as well as a lot of repair and maintenance guides out there. It is believed that in case the kit arrives incomplete or structural and fabrication defects become present, the company itself or the distributor will sort something out for you. As it currently stands, Storm Drone 4 sports one of the best frames in the business, being as light as possible while at the same time as strong and as durable as possible, This is especially great for beginner pilots that are not familiar with drones and tend to cause a lot of damage. Beginners can get used to the drone and practice safely without having to worry about losing control or balance. More experienced drone pilots can push the drone to its limits safely by performing a whole manner of acrobatics and tricks. Flight veterans and artists can use it to capture those vital and incredible shots or get that impossible angle from the scene just right with ease. It comes with a small buzzer for the battery, which connects to the battery and the circuit board, buzzing whenever the battery is either overcharged or undercharged. This is among the top competitors for the Storm Drone 4, and even though the Racer 250 was designed with speed and stability in mind, the Drone 4 still manages to come out on top in these aspects. 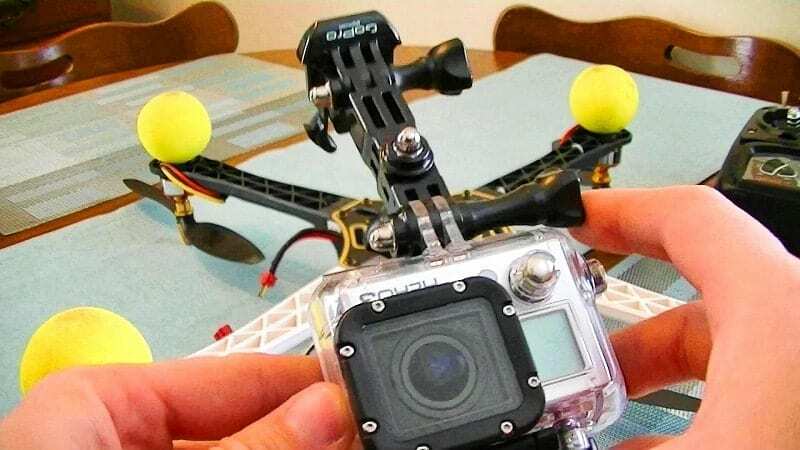 Another thing to note here is the fact that the Racer 250 comes with its very own integrated camera whereas the Drone 4 requires you to either mount your own camera or purchase one. This might seem like a disadvantage, but the amount of customization, as well as the increase in quality provided by your own camera, dwarfs the ones that are being brought by an inbuilt camera. 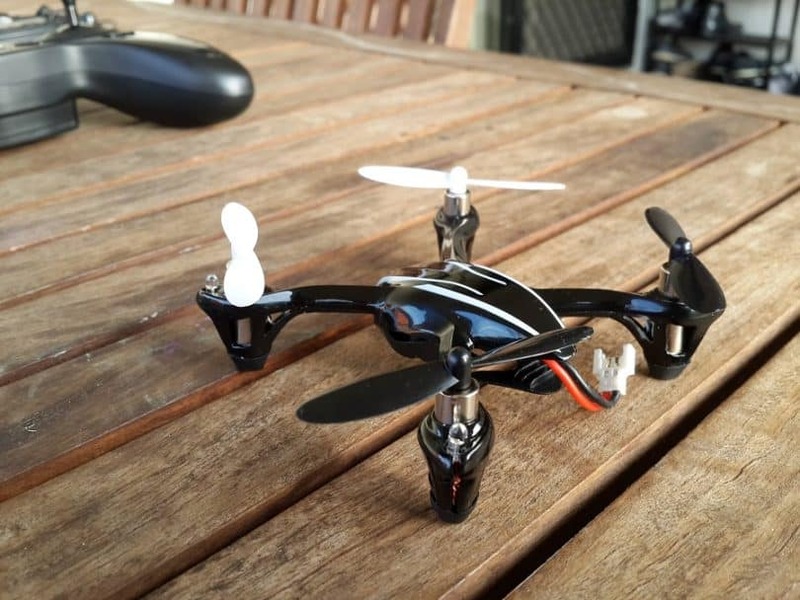 For a better insight on what this speedster offers, we suggest reading our Eachine Racer 250 in-depth review. One thing that we can all agree on is the fact that the X4 looks a lot better than the Storm 4. This is because the Hubsan X4 is more aerodynamic and implements a more attractive shape. It has better looks, but then again it does not sport the performance of the Storm 4. Even more, when given to beginners, the outside quickly loses its shape and damage starts appearing whereas the Storm 4 implements shock absorption and damage prevention. But, it is not a bad model for beginners and has plenty to offer actually, and you can get much more familiar with it by reading our Hubsan X4 in-depth review. This one is a very close match to the Drone 4. One key difference though is the actual shape and design of the drone, and while they are both quadcopters, the X-Speed has a slightly lower profile than the Drone 4, giving it a much better maneuverability and all around tighter controls mid-flight. To find out more about this amazing racer, we suggest reading our Arris X-Speed 250 in-depth review. There is a small catch, however. The Drone 4 has better weight distribution even without a camera, whereas the X-Speed more or less forces you to pile things on the middle forming a rectangular block. It is because of this fact that the Drone 4, even though slightly bigger and with a slightly higher profile than the X-Speed, is still able to be called the better drone. Lightweight and strong, compared to the other drones on the market, this drone is able to outperform the vast majority of the competition, while at the same time still being the best choice for beginners. In conclusion, the Storm 4 is a very good choice regardless of your experience with drones. The STORM Drone 4 is a nimble and versatile drone designed for everyone, from the very beginners to the more experienced drone pilots and drone hobbyists out there. It comes with 3 different flight modes which makes it easier for you to either learn the most you can about flying a drone or make the most out of your photographical or film project. Its low maintenance, low upkeep and high satisfaction rate make it one of the most desired drones on the market, and if you can afford the price and find yourself in need of a good reliable drone, then Drone 4 might just be the drone for you.